Has it really been thirty years since the inception of Al Margolis’s If, Bwana? Apparently yes — If, Bwana was born in January 1984. To celebrate the occasion, inyrdisk has released a 3-CDR set of recent and new If, Bwana material. 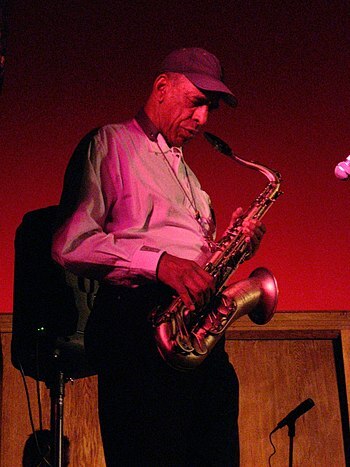 In the course of its three-plus hours, Thirty reveals some of the major tropes and favorite sound sources Margolis has explored over the years. One of these is tropes is the creation of variably dense drone music out of looped, stretched or otherwise manipulated samples of instruments or voices. A good example is 8 Notes, 16 Speakers, x Players, which begins with single stabs of a piano note which gradually multiply and expand in pitch until evolving into cyclical waves of sound that give the impression of a slightly detuned tamboura. Forks Waves Bees is a more conventional, thick drone piece, while Diapason 40 takes what sounds like stretched horn tones and layers them into long, dissonant chords. 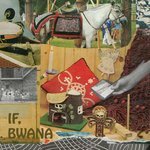 In fact one of the hallmarks of If, Bwana is the enlistment of acoustic orchestral instruments and human voices into the service of electronic experimentation. James (Leuven) Piece constructs a virtual string ensemble from spare samples of string instruments; Al, My Bassoons elongates the notes of a bassoon—an instrument that Margolis returns to again and again—until something resembling an organ dirge results. Ross Bassoon 2 transforms the bassoon into a complex drone, as does Kat Lib Bday Bassoon. At the other end of the spectrum, Roe Girls 2 is a sparse, space-filled piece in which female voices singing three notes are overlapped in and out of synch. Pushing the exploration of voice into more radical territory, Secular Totems is a collage of fragmented vocalizations that are neither speech nor song, yet somehow seem to convey emotional states in a dramatically direct way. A fine recording, and a happy anniversary indeed. Jesse Krakow is a bro among bros and a veteran of many crucial prog and avant rock ensembles. A Los Angeles native, his blood runs thick with a love for the two Coreys, Del Taco, “It’s A Living” and Captain Beefheart. For this talk Jesse and I go to a lot of places, starting our trip in the San Fernando Valley of the 1980s and ending it as a father in Brooklyn in 2014, we go to some very strange and uncomfortable places in between. When you get two Jews on the mic things tend to get weird and this episode is no exception.